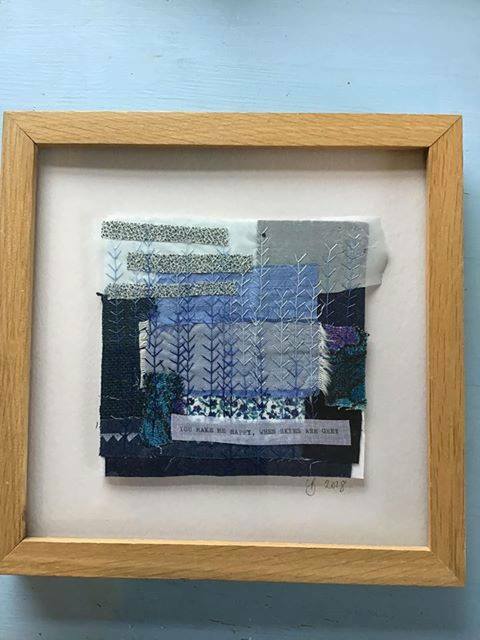 This is an absolutely uniquely gorgeous framed stitch multi media picture. Stunning! It has been fully framed in a 26cm sure frame. 337. "You make me happy when skies are grey"